A backed up toilet can be a messy situation to find yourself dealing with, but the repercussions of a backed up toilet may be much heavier than you expect if you do not promptly deal with the matter. This is because it does not take much for a toilet to overflow, and once the water starts running you might find yourself in need of sewage clean up. You do not want to try to handle this task on your own because if not done correctly you may end up with a very unhealthy situation on your hands. 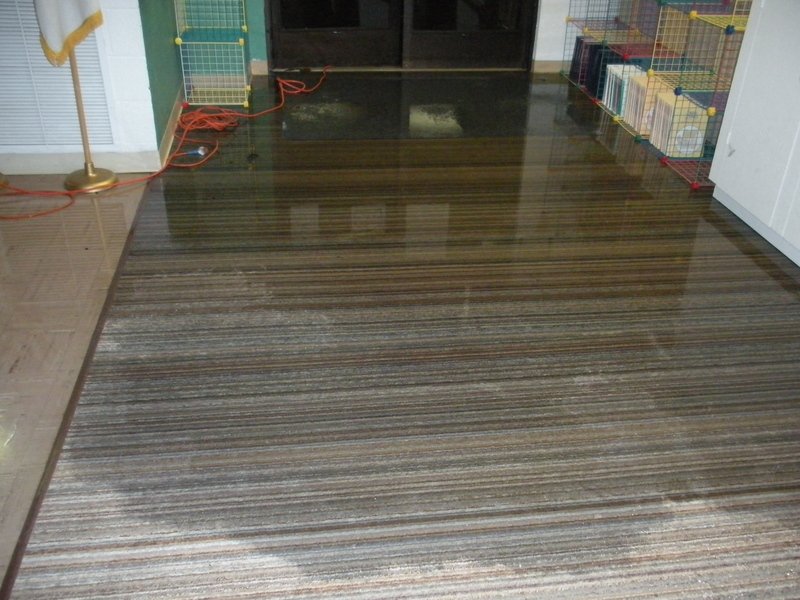 This is why it is much better to let a water damage restoration service handle the task. Water removal experts are able to offer expert sewage clean up and they will start by pumping water out of the bathroom and then start water cleanup in the bathroom. Once they clear the water they will get to work cleaning up the waste that was left behind on the walls or the floors. Even if you cannot see anything there may still be dangerous bacteria in your bathroom, but an expert water repair service knows exactly what to do so that you can comfortably walk into your bathroom without any fear.